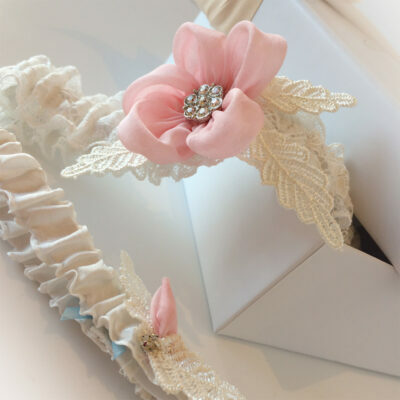 I hope you love this wedding garter I’ve made with two luxury layers of exclusive Nottingham lace. 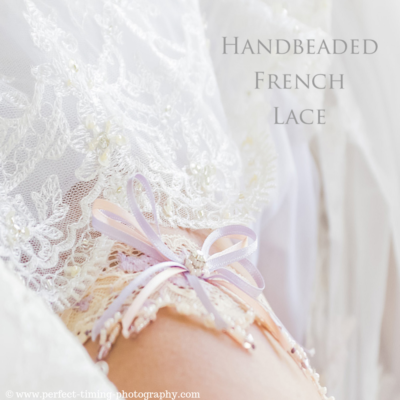 You probably know how I had some gorgeous Nottingham lace made especially on a cotton tulle… Here I have taken two of those lovely laces and used them together in this lavish double layer, luxury wedding garter. If you look closely at the cotton tulle, it has the appearance of fine antique lace. Furthermore using two layers gives it a wonderful extravagance, reminiscent of the Victorian era. Embroidered with tiny flowers and leaves, each layer has gently scalloped edges. Through the centre of this luxury wedding garter, I’ve slotted a pure silk ribbon which has a pretty loopy effect. Brides have loved this garter so by request, I’ve added more colours for the silk ribbon. 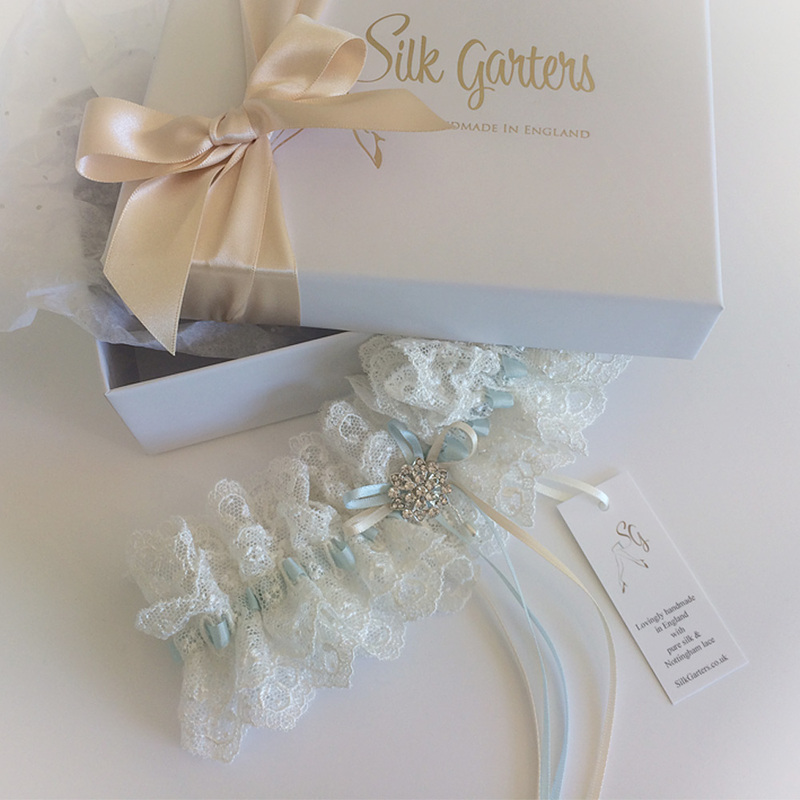 You can now choose between ivory, duck egg blue (pictured) or a peach-pink-taupe dip-dyed silk ribbon. I’ve added fine longtail bows in toning shades together with a glamorous crystal, a lovely combination of elegance and whimsy.